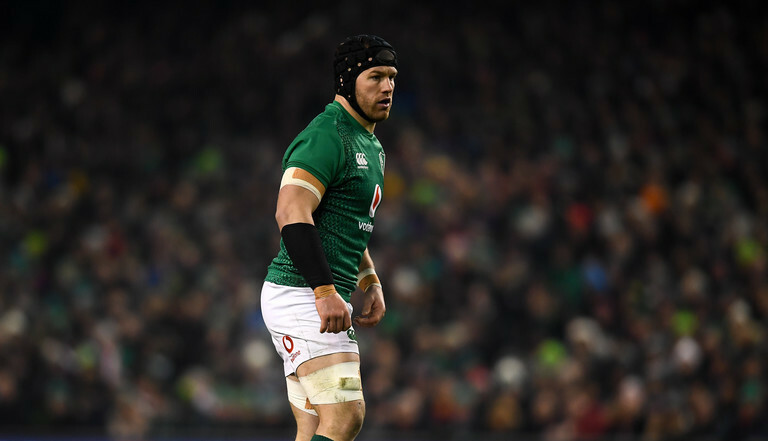 Sean O'Brien is a player that is adored by Irish rugby fans, but is also one they have not got to enjoy as much as they would have liked. On his day he is one of the deadliest back row players in world rugby, with his ability to break the line almost unmatched. Unfortunately, injuries have greatly affected the impact he has had at provincial and international level in recent years. He was introduced as a substitute in Ireland's loss to England last week, as he continues his latest return from injury. Now 31-years old, it is uncertain as to how often he can continue those long injury rehabilitations. Considering this, it is perhaps not surprising that O'Brien has been linked with a big money move abroad at the end of the season, a time when his last opportunity to secure a lucrative long-term contract will arrive. RugbyPass have this evening revealed that London Irish are hoping to sign the player, with some very appealing financial terms on offer. They are set offer the flanker a three-year deal valued at £450,000 (€514,000) per annum. While that is less than the current €550,ooo he earns, it is a sum he would be unlikely to be granted on a new central contract from the IRFU. Irish are currently nine points clear at the top of the Championship, and are looking to make a splash upon their return to the English Premiership next season. They have already agreed contracts with Aussie pair Nick Phipps and Curtis Rona, as well as Scotland's Allan Dell. With O'Briens injury record, as well as the emerging group of Irish back rows, he may feel that now is the time to move on. Any move would not take place until after the World Cup, meaning the tournament this Autumn could be the final time we see O'Brien in a green jersey.